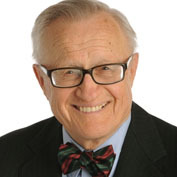 Mr. Paterson was called to the Bar in 1957 and specialized in medical law. He has acted for the McGill hospitals, the Queen Elizabeth, the Lakeshore General, Reddy Memorial and Barrie Memorial hospitals. In 1990, he became Chancellor of McGill University. He was Chancellor of Bishops University from 1995 to 2005, and is presently Chancellor Emeritus. Mr. Paterson started his volunteer career at the Montreal Children’s Hospital 15 years ago. He chaired the committee that recommended the merger of the hospitals in 1992, and was the first interim board Chair of the MUHC and first Chair of the MUHC Foundation.